The Feminine Gift: Happy Dominion Day, Canada! 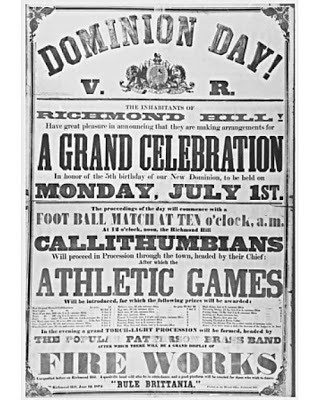 July 1st, 1867: the day when three British colonies became four provinces of the new Dominion of Canada. 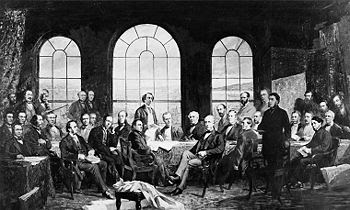 Canada’s Confederation Day, or as it used to be known, Dominion Day. For my family, July 1st was the day of the ‘big party’. 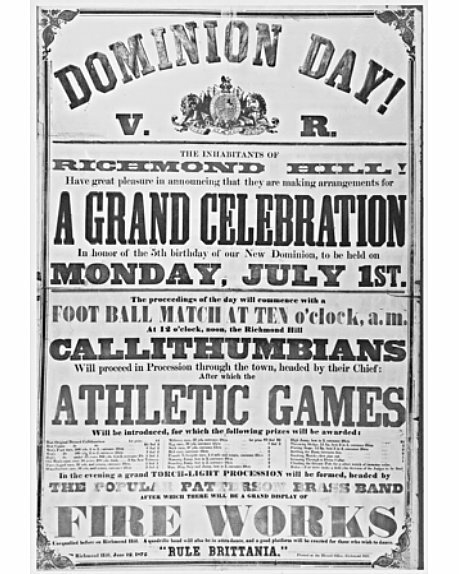 My parents first instituted their Dominion Day Party the year they moved to ‘The Farm’. Four days after moving all eight of us kids and all our stuff into the new house, we hosted a party for about 50 of our closest friends. Little did my parents know at that time what this small-ish party would become. In those days we would begin with mass at the farm, the rosary and the singing of O Canada while raising the flag. Food, talent show, games, sports, campfire, fireworks and different fun activities throughout the years usually followed. One year we had a dunk tank. One year there was a pig roast where half the pig caught fire and had to be hosed down. And one year we had so many people show up (over 250!) that we had to build an outhouse the next year because of the strain on the septic system. My parents have an open-door “policy” so the party quickly became a place for ‘regulars’ to bring their friends and meet new people. I recall as a teenager walking through my house that day personally knowing about half the revelers. I knew less and less as the years progressed, but the fun of it all only increased. Future spouses were introduced to each other. Deep and lasting friendships were made. And children grew up, got married and started bringing their own children. But what never ceased to amaze me is the Spirit that always infused, and continues to infuse, the whole day. While we’re not able to have mass anymore, we always start with the rosary, the flag-raising and O Canada. Rain or shine, Catholic or not, people show up for 3 o’clock and pray and sing with us. Canada’s Christian roots run deep, despite the attempt of our society to yank them out, and my parents were determined to keep God within the celebration of our home and native land. Which is precisely why my mom insisted on having a “Dominion Day” party, instead of a “Canada Day” party. She found out that the original title had been derived from Psalm 72:8: “…May he have dominion from sea to sea, and from the River to the ends of the earth…” I do believe Sir Leonard Tilley was on to something when he incorporated those words into the name of our nation’s “birthday”. We do live in one of the most majestic and blessed nations on earth. Sure I might be a touch biased….but it’s true. We are privileged to dwell in a land where we have the freedom to think and worship as we choose: where we can live and move and be without mortal danger to ourselves, or our families. May God continue to keep our Land of Canada glorious and free. What fun and amen to the Dominion.